“I feel trapped, it feels like there is no escape, I can’t get out”. This is the debilitating feeling Catherine lived with for 9 years. Catherine aged 34 came to see me because she had been experiencing claustrophobic feelings and panic attacks for a long time and was desperate to find a solution. “I feel like I am going mad. My life feels so out of control with these panic attacks. I dread doing so much in my life now that I am becoming more and more housebound. My hands sweat, my heart races, I can’t sit still and my body starts to shake uncontrollably. I don’t like driving motorways anymore and I hate being stuck in traffic. When I see the brake lights and I know I can’t get out. It’s a fear of being trapped, a feeling of not being able to move. I have to take the long route home every time. Going into the city is now a no go zone area for me as I can’t deal with the crowds. I don’t go on holidays anymore as the worry and panic is unbearable weeks before I even fly. I panic on the airplane, I can’t get out. Even thinking about going somewhere can cause me to panic. When I go to new places I have to find out where the exits are and figure out how long it will take me to get there. I hate standing in queues, I don’t seem to be able to wait, I just need to get out of there. I am afraid of underground car parks. If I use the bus, I have to sit near the door. I hate the dark and I am afraid of being trapped in it. If I go somewhere new I always make sure I have a candle with me in case I need to get out. I am always worried that something is going to happen to the kids and the thoughts just spring up on me. I feel sick in my stomach”. As Catherine spoke she hardly took time to catch her breath. She sat at the edge of her seat and her eyes were wide, she looked really frightened, like something dangerous had just happened or was about to happen to her. She had been in a car accident about 9 years previous and was stuck in the car and had to be cut out by the emergency services. She recalls it just felt like madness trying to find a way out. Even though it felt like a whirlwind of panic around her and she was shaking uncontrollably, she tried her best to keep it together as she was more concerned that her siblings were okay. She had gone back to driving shortly after the accident because she needed to, but she was now limited as to where she would drive. She wouldn’t drive motorways and was only able to use back roads even if it added an extra hour to her journey time. Other aspects of her history included headaches, anxiety and diarrhoea before any stressful activity and a need to plan things. She also felt she had a lot of confidence issues and would worry before meeting her friends or going to the doctor. She worked part time and studied at college and dreaded exam time and making mistakes in her part time office admin role. Catherine had not made the link that the trapped feeling in the car was continually being expressed for her in daily life as the shock and fear had still not left her mind and body. I prescribed two remedies for Catherine in this case. Firstly Aconite to help deal with the unresolved shock of the accident 9 years ago and Argentum Nitricum (Arg-n) to follow for the phobic state that runs through her case before and after the accident. “I can’t believe it, I’ve had no full blown panic attacks, the first time in 9 years. The anxious feelings are nowhere near like they were before. I am able to catch it before it happens and reassure myself it will be ok. I can now live in the moment and in the day. It doesn’t creep up on me out of the blue and that terrifying feeling has gone. I don’t really notice that knot in my stomach as much any more and there’s definitely less episodes of diarrohea. My stools are starting to resemble normal. I’ve had no headaches in the last month. Worrying about my family has reduced significantly – I use to go and check on the kids 10 times at night. Now I only go twice”. I also noticed that her anxiety and fear were less apparent. She was less fidgety, spoke more calmly and was less hurried in her demeanour. I continued with Arg-n and advised her to also take it when she began to feel any panic before any ordeal. 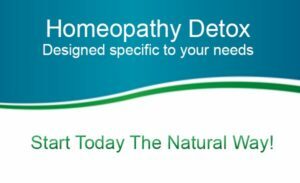 At our next homeopathic consultation Catherine reported that she had been into town and was able to handle the crowds without panicking. She was also feeling much more social and a lot less anxious about meeting up with friends. Even more to her delight, she had forgotten on a few occasions to look for the exit routes when she ventured to the cinema and to a busy shopping centre. She had also taken a car journey on the motorway and was surprised at how well she coped. Catherine came for another three visits and there was still no further panic attacks and the claustrophobia continued to diminish. Her confidence continued to improve and she said she spent less time planning and worrying about what she could and couldn’t do. *Aconite and Argentum Nitricum (Arg-n) are both good homeopathic remedies for claustrophobia and alleviating panic attacks where the symptoms fit. Argentum nitricum (Arg-n) anxiety can usually be pinpointed to fixed situations such as before an engagement or before a journey. The panic starts with the anticipation of what is too come. It is a more phobic state whereas in Aconite the intense anxiety can be quite non-specific. In the remedy Argentum Nitricum (Arg-n), there is a claustrophobic feeling of being trapped with no way out. Any situation that feels like this creates a feeling of panic – waiting in queues, lifts, airplanes, closed spaces, tunnels, underground, high places and crowds. They can also suffer greatly from anticipatory anxiety before any public engagement, meeting friends, visiting the doctor or dentist, or before examinations. Anxiety is usually accompanied by diarrhoea. 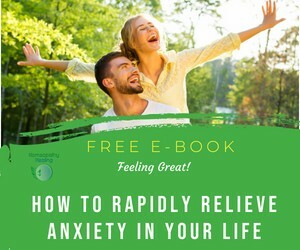 Need help to free yourself from anxiety, panic attacks or claustrophobia? 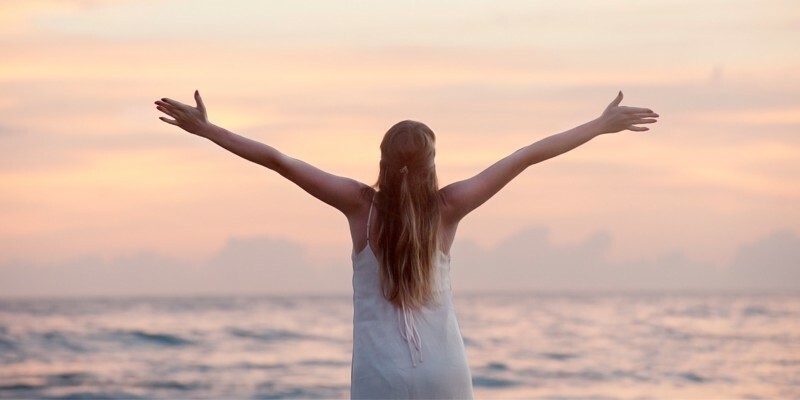 If you are struggling with claustrophobia, panic attacks, anxiety and would like to see if homeopathy can help you, or your would like more information on my Stress and Anxiety Relief Programme, please feel free to give me a call, Tel: 086 089 1037 (+353 86 0891037) send me an email or book a free 15 minute consultation today. *Remedy selection is based on a many factors and requires individualised homeopathic prescriptions. Only a small part of the remedy picture is included here to explain different remedies. Please feel free to contact me to find out how we find a remedy specific to your needs.